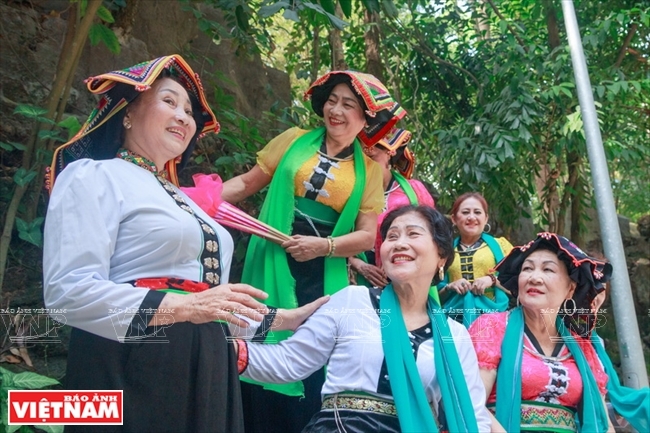 With an ability to sing lullabies in different ethnic languages, Cao Minh Hien has spent her life collecting and performing ethnic lullabies across Vietnam to promote the exquisiteness of these folk songs. 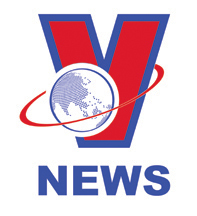 Born in Thanh Hoa central province, Cao Minh Hien, however, has lived in the northwest region, where her parents chose to settle, since she was a little girl. 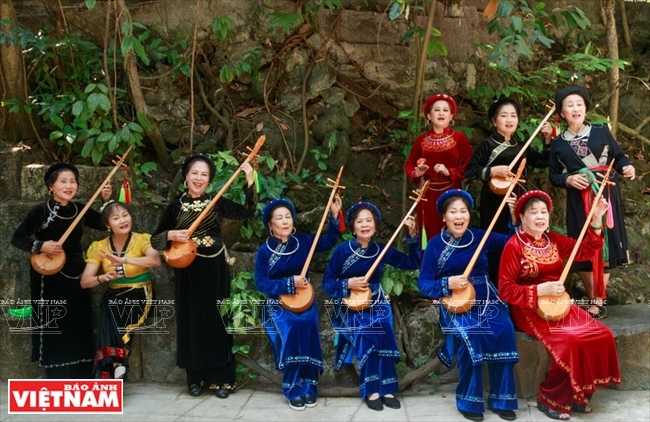 Her mother’s cradlesongs were imprinted on Hien’s mind when she was very little, nursing her soul and inspiring a love in her for the beautiful folk songs of ethnic groups in the northwest. 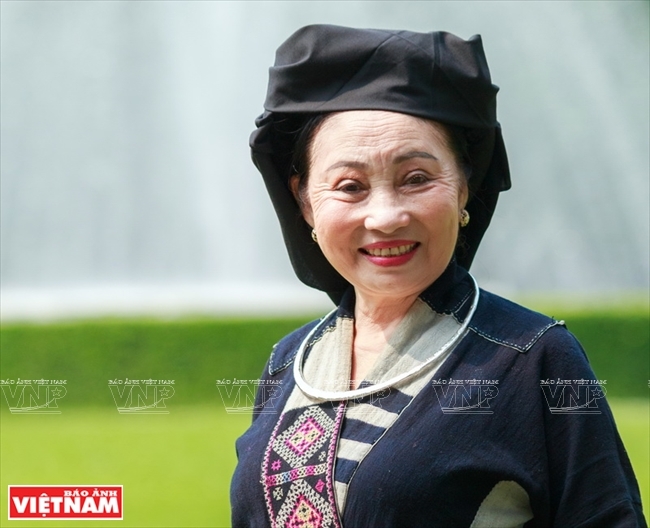 She memorized all the lullabies sang by her mother, and also learned many other songs of the Mong, Tay and Thai, the ethnic groups living in the northwest mountain region. 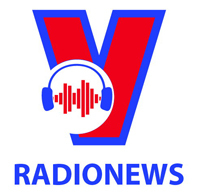 Artist Cao Minh Hien can sing lullabies in Thai, Cao Lan, Mong, Tay and Kinh languages. 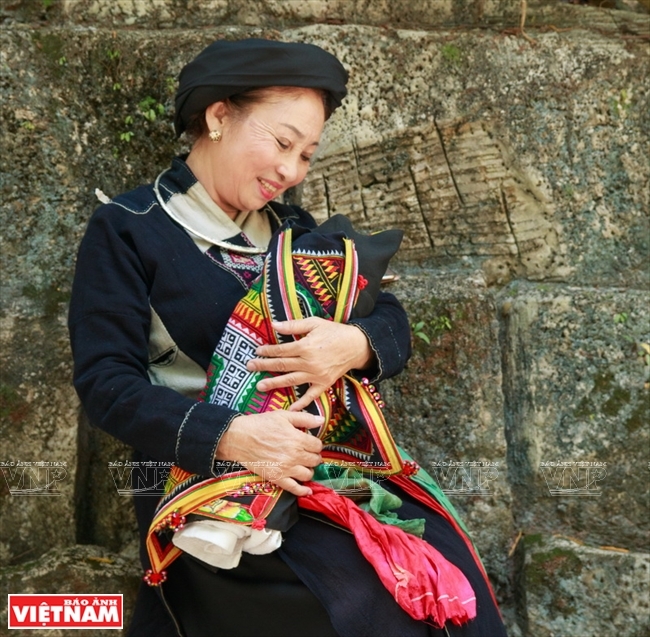 Hien sings a lullaby of the Cao Lan in Bac Giang province. She wears the Cao Lan traditional costume while singing a cradlesong of this ethnic group in Bac Giang. She can sing lullabies at any time while doing other work. In 1997 when she was 24, Hien intensely studied genres of traditional music, especially lullabies. The young girl made numerous trips across the northern region to collect and record lullabies of every ethnic group. 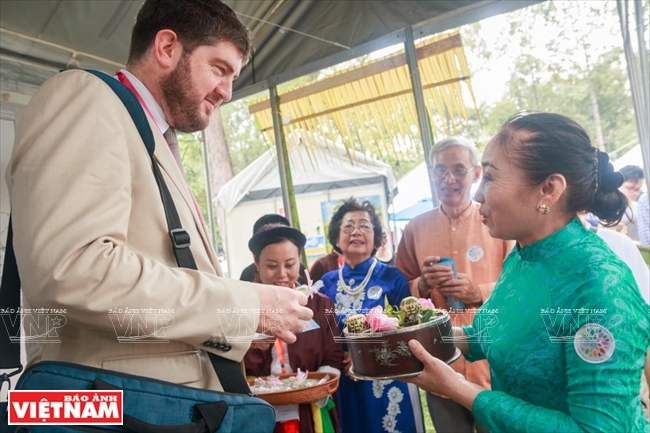 She also joined cultural exchanges and performances of ethnic people to learn about their lullabies. The lullabies are appealing to Hien because they are not merely soft and gentle lyrics for children, but also give first lessons in life about being a good person with simple moral teachings conveyed in those songs. Hien has learned to sing lullabies in the languages of the Thai, Cao Lan, Mong, Tay and Kinh. She is among a very few people who not only study and collect lullabies but also can professionally perform them in their original language. Hien often sings lullabies at cultural events and art performances in Ho Chi Minh City to spread love for the songs by the public. 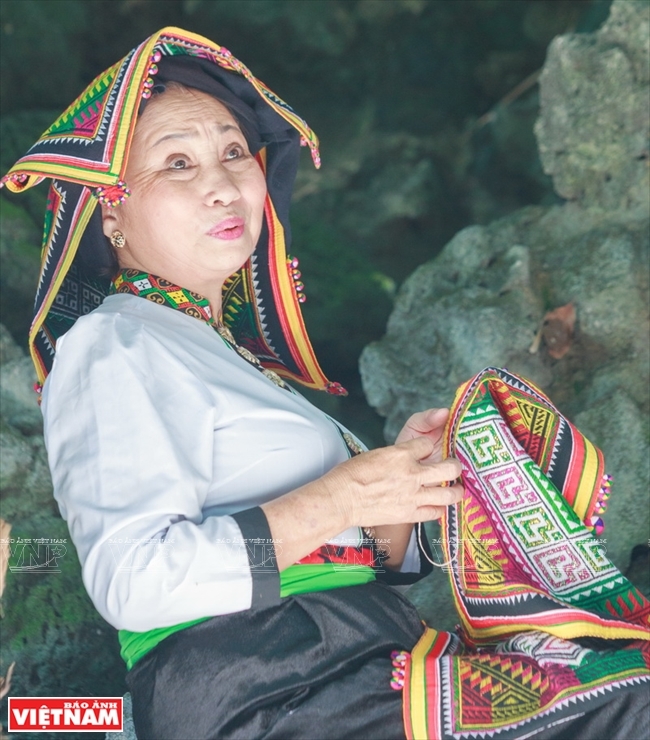 When singing a lullaby in an ethnic language, Hien always wears the traditional costume of that ethnic group to introduce the people and culture of the group. in Ho Chi Minh City. Hien sings a southern lullaby in an art program titled “Mother’s Lullabies” at the Ao Dai Museum in Ho Chi Minh City. 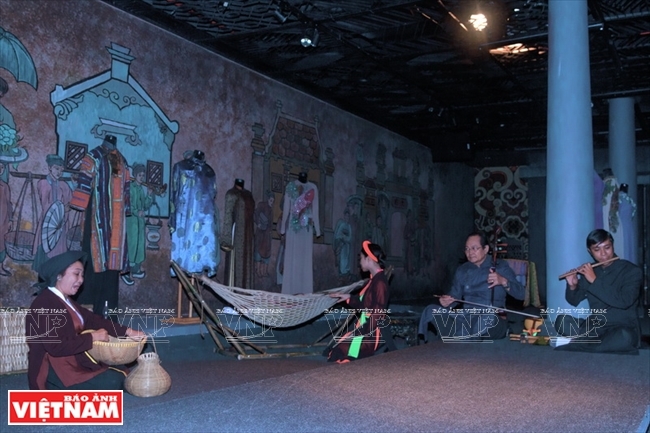 Hien impresses the audience when singing lullabies in traditional costumes of ethnic groups. 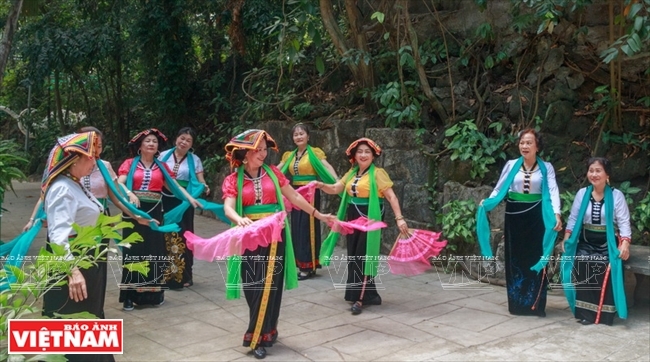 Members of the Dan Tinh Hat Then Club in a performance at Suoi Tien Amusement Park in Ho Chi Minh City. She sings lullabies while doing her daily routines. 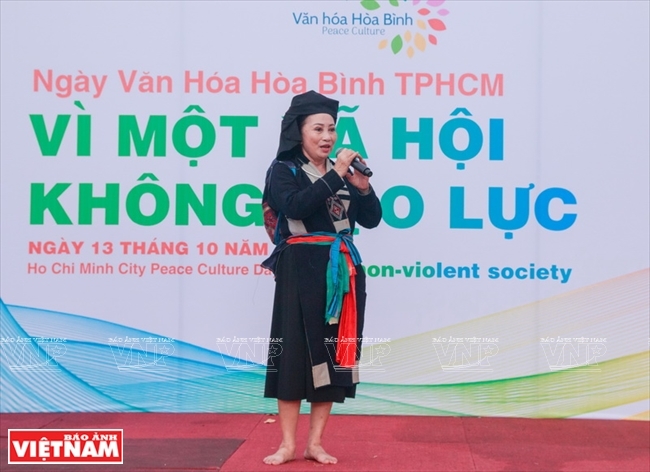 She also joins art clubs, including the Dan Tinh (three-stringed musical instrument) and Then singing club and the Mother Society, and organizes lullaby classes and performances to promote the songs, especially among future mothers.